With sculpted light cushion in key areas, the new Dahlgren Sno Alpaca sock brings unparalleled warm, dry comfort to all your winter outdoor activities! Light cushion at the shin and under foot provide protection from boots and abrasion; flat knit throughout the balance of the sock ensures optimal fit. Alpaca and Merino wool in the absorption zones provide thermal regulation and dry, soft comfort. 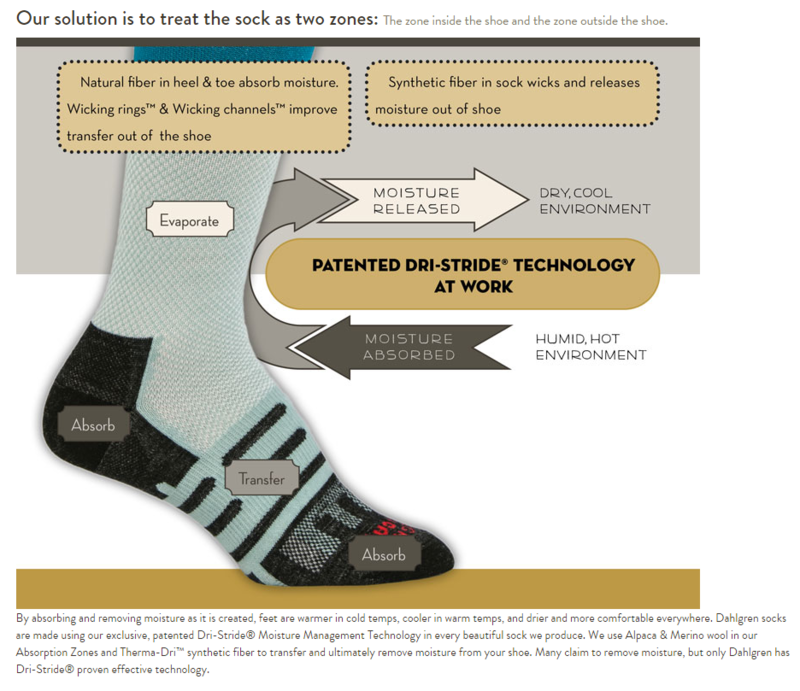 Dahlgren's patented technology uses independent zones of alpaca/merino and hydrophobic ThermaDri to absorb and remove moisture, keeping feet drier and more comfortable all day long. If you're looking for a performance socks with proven results of keeping feet drier and more comfortable all day long, this is the best choice on the market. The Sno Alpaca Sock is designed and made in the USA.